Petroleo Brasileiro awards the contract to TL Offshore, a wholly-owned unit of SapuraCrest, to charter and operate three units of pipe-laying support vessels. Kuala Lumpur: SapuraCrest Petroleum Bhd has won a US$1.4 billion (RM4.34 billion) contract from Petroleo Brasileiro SA (Petrobras), Latin America's largest company by market value. The state-run oil producer, based in Rio de Janeiro, Brazil, awarded the contract to TL Offshore Sdn Bhd (TLO), a wholly-owned unit of SapuraCrest, to charter and operate three units of pipe-laying support vessels (PLSVs). Under the award, TLO is to construct and charter three PLSVs to Petrobras, of which one of the PLSVs will be constructed in Brazil, whereas the other two will be constructed outside of Brazil. 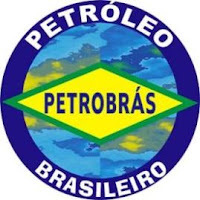 TLO will also be responsible for the project management, procedures and operations of the PLSVs for Petrobras. The PLSVs will be deployed to perform oil and gas marine construction projects in the Brazilian water, SapuraCrest said. In a statement to the stock exchange, SapuraCrest said that revenue from the project is expected to be generated by the fourth quarter of 2014. "The award is expected to contribute positively to the group's net assets and earnings for the financial year ending January 31 2015 and beyond," the company said in the statement to Bursa Malaysia. It is understood that Sapura- Crest won the contract after a highly competitive and technically rigorous open tender process. The Malaysian oil and gas concern was competing in the tender along with other international players. "This contract is a significant milestone as it marks our entry into the vast, dynamic yet technologically challenging oil and gas market in Brazil," said SapuraCrest executive vice-chairman and president Datuk Seri Shahril Shamsuddin in a statement. He added the company's entry into the Brazilian market is part of its long-term global expansion plan. Part of the strategy also involves the proposed acquisition of Clough Ltd's marine construction and offshore engineering operations. In August, SapuraCrest signed a conditional agreement to acquire Clough Ltd's marine construction and offshore engineering operations in Australia, the UK and US for A$127 million (RM413 million). "As a technologically-innovative group with international presence, we are in a stronger position to cater to the needs of the national oil companies as well as the world's leading oil majors and independents," Shahril added.